It is the ‘Golden Hour’ and the ‘Platinum Ten Minutes’ that typify the significance of Emergency Medical Services. It is a well-accepted fact that a patient who receives basic care from trained professionals and is transported to the nearest healthcare facility within 15-20 minutes of an emergency has the greatest chance of survival. Hence, we at Apollo Hospitals leave no stone unturned in providing the best services in the shortest time possible by trained and experienced medical staff. 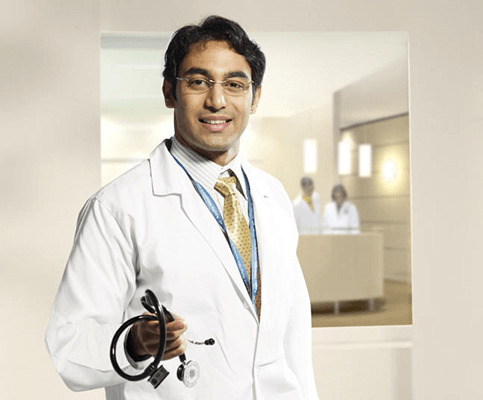 The Indraprastha Apollo Hospitals Emergency Room has the reputation for immediate response with our trauma patients being of the highest priority. All laboratory and imaging test results are available without delay leading to quick diagnosis and rapid treatment. Apollo Hospitals Emergency Department provides a systematic approach to treating trauma patients with our dedication to a 24-hour state of readiness. The scope of services includes everything from critical care transport and definitive surgical care for trauma victims to comprehensive rehabilitation services. There is never a need for a patient to wait for surgeons or specialists in order to receive critical care. Apollo Hospitals Emergency Department is a medical treatment facility specializing in acute care of patients who present without prior appointment, either by their own means or by ambulance. Due to the unplanned nature of patient attendance, our department provides initial treatment for a broad spectrum of illnesses and injuries, some of which may be life-threatening and require immediate attention. In case of trauma emergency or complicated injuries, our internal alert protocol starts preparation in advance, as soon as a trauma call is received. All acute care team members and support units are well trained and are activated and ready on site for the quickest response. Additionally, the Hospital meets the highest international standards for medical, safety and quality as demonstrated by the Joint Commission International Accreditation of Hospitals Gold Seal of approval.